Mridanga vidwan Tiruvarur Vaidyanathan was honoured in July 2014 with the New Jersey Assembly proclamation for promoting Carnatic music abroad. The citation said Vaidyanathan, born in a family of percussionists, began training at the age of six from his grandfather and uncle. With his inherent sense of rhythm, disciplined practice and urge to excel in the art of playing the mridangam, he was showcased in concerts even as a high school student. He underwent rigorous training with mridangam maestro Karaikudi Mani and with dedication and hard work became a much sought after percussionist for leading musicians in India and abroad. Vaidyanathan has performed at such major venues as Lincoln Center in New York and Kennedy Center in Washington DC. Vibrations, the symphonic ensemble he launched performs multiple genres of music on a global level. He promotes music through his position as Faculty Member of SIFAS in Singapore and as a mentor of young musicians who established the Tiruvarur Talavadya Vidyalaya in Chennai, the official proclamation added. Tiruvarur Vaidyanathan was honoured by Upendra Chivukula, deputy speaker of New Jersey State Assembly. Divya Yeluri, founder director of Nrithya Madhavi School of Dance, in New Jersey, and Venu Yeluri participated in the ceremony. Iconic octogenarian Bharatanatyam guru Adyar K Lakshman, passed away last night at Chennai. He was 80. Born on 16 December 1933 at Kuppam in Chittoor district of Andhra Pradesh, Lakshman and his brother Rama Rao were discovered by Rukmini Devi Arundale’s Kalakshetra when they were very young. Lakshman was a much loved and respected guru and choreographer who gave the world of Bharatanatyam many excellent disciples. His passing will be deeply mourned by dance and music lovers everywhere. 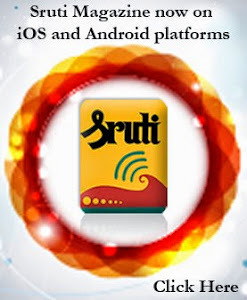 Please read Sruti issue no. 320 of June 2011 for a profile of Adyar K Lakshman. Something felt wrong today. As I walked the familiar streets back home, I felt an inexplicable ache in my heart. I couldn't make sense of it--it was just another day. But back home, I saw a message that my first Bharatanatyam Guru, a friend of my late grandfather's and my first window to the beautiful world of dance, had passed on. He was a towering pillar of the Kalakshetra school. It makes sense now. Some bonds are beyond time, distance and this-worldly meaning. May his soul dance in Nataraja's shade, for all eternity. Petite and soft spoken, Jyothishmathi Sheejith is a musician with a stamp of classicism and musical sense honed by Kalakshetra aesthetics. She has sung for leading Bharatanatyam artistes and is known for her meticulous preparation and enthusiasm even when singing for junior artistes. Married to Bharatanatyam artiste Sheejith Krishna, Jyothishmathi is the music composer for many of his productions. A firm believer in the Carnatic music tradition, her compositions reflect her innate understanding of the musical needs of the Bharatanatyam form. How did you start learning Carnatic music? I started vocal music when I was nine in Bellary. 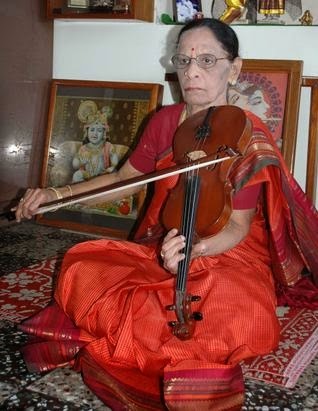 My teacher Subhadramma was a violin and vocal teacher. Nobody in my family is in the music field. My father is a doctor. It was my teacher who suggested to my parents that I take music seriously. She was a wonderful teacher and gave me a strong foundation. For the first two years, I used to go to class only because of my mother’s persuasion. After that, I suddenly got interested in music myself and would in fact refuse to leave class when mother came to pick me up! After my tenth standard, I had to make a decision about academics. I decided to focus on my music. After my twelfth standard, I applied to the Mysore Music College. An uncle of mine living in Annanagar told us about Kalakshetra. Once I came and saw the college, my mind was set on joining this institution. Tell us about your Kalakshetra experience. After the interview, I was put into the final year class but had to complete the full four years for my Diploma. After completing six years for the post-diploma course, I was awarded a scholarship and continued for one and a half years more in Kalakshetra. I was with Vairamangalam Lakshminarayanan Sir for all the six years. I also learnt from Pasupati Sir and Rajaram Sir. I started learning music in the Mysore bani and then was exposed to the Tanjavur bani in Kalakshetra. Each has its own beauty. The Mysore bani focussed on speed. Later I learnt to slow my pace down and focus more on the emotion. In a way, my music calmed down after coming to Kalakshetra! I think that process of slowing down and actually hearing myself and what was happening between one note and another, made me understand music better. The Kalakshetra experience was not just about learning music. It was truly a way of life. It was the first time I started seeing the interconnectedness of the arts. I was surrounded by music, dance and other fine arts. It made such an impact that I never saw myself just as a musician. This was true for every artiste in Kalakshetra. If you ask someone like Anil Kumar sir (mridangist) who has been in Kalakshetra for years, he will recite all the korvais of the Kalakshetra jatiswarms and even prompt the next hand gesture in a varnam! What was your exposure to dance? None till Kalakshetra! There was only one sabha in Bellary where I heard kucheris now and then. Exposure to Bharatanatyam happened very naturally in the Kalakshetra environment. 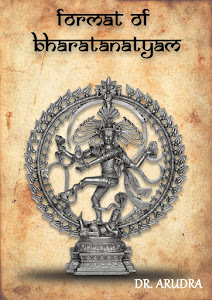 I started singing for Bharatanatyam in my first year for variety shows organized by Kalakshetra. The variety shows also gave me an opportunity to present half hours of solo Carnatic music. While I was a student, Rajaram Sir started composing for the dance drama Purandaradasa and he wanted someone who knew Kannada to help him with the notations. This was my first exposure to music being set for Bharatanatyam. In 1999, I got to go on my first US tour with Shobana (Bhalchandra?) and so had to give up my scholarship in Kalakshetra. I worked with Bharata Kalanjali for five years as a staff member there and sang for Dhananjayan Sir and Shanta Akka on many occasions. How are the approaches to singing for dance and a vocal concert? The foundation that I received ensures that my music does not change and that I adhere to the musical grammar. When I sing for natyam, I am tuned to the dance. In a cutcheri, my manodharma is dictated by the Carnatic music grammar and technicalities through which the improvisation happens. In a dance performance, my imagination is shared with someone else. How does the emotion of the lyrics affect the musicality in both forms? I think that in both cases, we must know and understand the lyrics and bring forth the emotion from within. I don’t know whether it is the Kalakshetra background, but for me, the lyrics and the raga bhava go hand in hand. Perhaps since I am familiar with many languages, the words are never alien to me. Vairamangalam Sir would always place great emphasis on the sangatis reflecting the sahitya. The way I see it, a dancer uses her body language to express different shades of the same line. Similarly, the musician uses the raga swaroopa to communicate the emotion. Each sangati is developed gradually, increasing in complexity and presenting the full range of the raga bhava. Who are the dancers you have worked with? Which Kalakshetra dance dramas have you sung for? Sri Purandara, Siva Geeti Mala, Andal Charitram, Krishnamari Kuravanji, Akka Mahadevi and the Ramayana series. What do you feel are the difficulties in singing for dance? When we choose a career path we have to be aware of the working methodology it demands. There is no point in complaining about attending rehearsals and the strain it puts on the voice because without rehearsals, how will the music and dance come together? For a show to be a success, it requires a spirit of collaboration and understanding that as dance vocalists we are not the centre of the spotlight. Each path you choose has its own demands. If I am a mainstream Carnatic vocalist, my own sadhana everyday as well as being up to date with my pathantaram are important for concerts. For a Bharatanatyam vocalist, the preparation involves learning new music all the time, finding time to notate and go for practice sessions. It’s an informed choice that we make! Any regrets about not becoming a mainstream concert artiste? No regrets. I am happy with my work. I have worked with some wonderful artistes and my music has only been enriched over time because of this exposure. You have composed music for many dancers, in particular for Sheejith Krishna’s productions. Rasikas have commented on the way in which the music and the dance have come together so beautifully. I feel composition happens from the day you start singing kalpana swaram or attempting raga alapana in training. Over time, you learn how to channel your musical imagination for a purpose. I learnt a lot about composing from Rajaram Sir as I was there when he composed music for three or four productions. I used to help with the notations and that was an invaluable experience. I remember while he was doing music for Purandaradasa, Janardhanan Sir would request for an avartanam of swaram in a particular place and Sir would try out different combinations till the right one clicked. I learnt so much by just being there during this process. Because I had heard such great compositions, I never had the courage to try composing myself! The credit for making my start composing goes to Sheejith. He was always asking me to try composing and frankly, I had no interest in doing so! I was satisfied with the pleasure of singing, but I started working on music for his productions. Initially, I started composing items. My first attempt was swarams and a tillana in his production Marthyan. After that I did Swapna Raag, my first full-fledged music composition for his production. Since then, I have done music for Sheejith’s Masquerade, Krishna Bharatam, Parinaamam and Pravaaha. How do you go about composing? If it is for dance, I like to work closely with the dancer and understand how she visualizes the scene and the mood. I then give her a few options and we discuss the choice. If the dancer is clear about what she wants, then the composing sets well. Otherwise it may not jell as well. I received the best female singer award from Sri Krishna Gana Sabha. To continue singing, teaching and composing! I am also a founding member of Sahrdaya Foundation along with a few like-minded artistes who form the core group headed by Sheejith. There is a lot of exciting work happening at Sahrdaya now. We teach Bharatanatyam and Carnatic music and hope to spread the joy of the arts to young students. Our other areas of focus are outreach programmes and developing our own performance ensemble wing. Jayateerth Mevundi may well be the brightest star in the Kirana gharana today, of which the legendary Pandit Bhimsen Joshi was the foremost exponent. The bandish is “Jaoon Mein Tope Balihari” in Brindabani which was a favorite of the Pandit. Jayateerth just overwhelms you with his magnificent virtuosity. The taans come out one after the other with terrifying speed and blinding clarity. And the best part is that this is done with effortless ease; just watch the expression on his face. This drut piece lasts for less than 8 minutes, but leaves the impression of a lifetime. This is an absolutely electrifying performance, and Jayateerth Mevundi will surely find a place in the topmost echelons of the Hindustani pantheon. Thanks a lot to Arvind Ranganathan for sharing this. He is a disciple of Karaikudi Mani. Arvind is an accomplished mridangist who manages a fine balance between his corporate career and his music. Why don’t you put up your recently held lec-dem conducted under the aegis of the Lalgudi trust for the benefit of us aam janta? 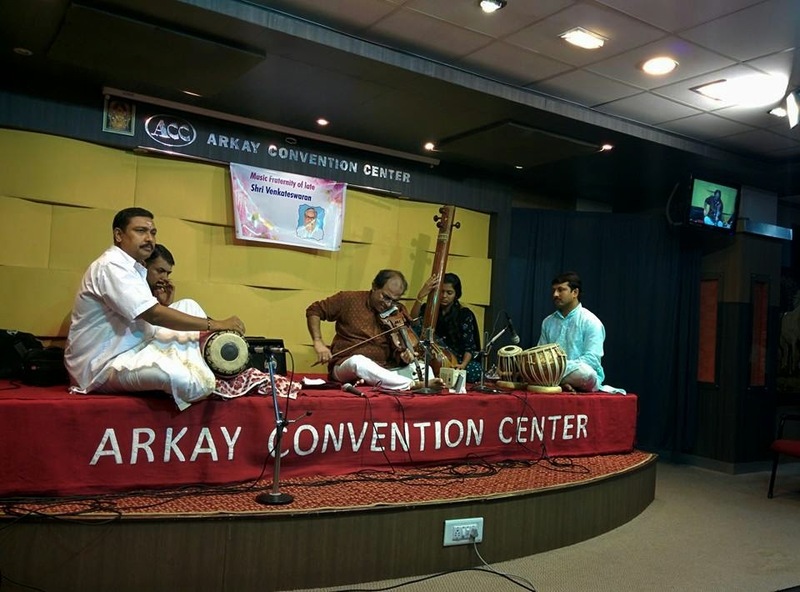 On July 20th, I attended a talk by Dr. Nagaswami at the Arkay convention center on Vilakku music in Silappadikaram. He began by quoting a line from Silappadikaram, namely, “Tamizh murudarinda thanmayinai”. In essence, this line says that Tamil scholarship consists of mastery in 3 fields- music, drama, and literature, Dr. Nagaswamy said. Nowadays, people only study a third of Tamil - the literature part alone and are considered scholars. No one seems to consider music and dance as being an integral part of Tamil scholarship. Prof. Nagaswami said that there is an urgent need to create a new generation of scholars who have mastery in all three fields. Silappadikaram has two types of poetry in it, Dr. Nagaswamy continued. They are Aham and Puram poetry. Aham deals mainly with Sringara rasa while Puram deals with Dharma mainly. The first two cantos of Silappadikaram, Madurai and Puhar Khandams, are Aham poetry while the third canto, the Vanci khandam is Puram poetry. Prof. Nagaswami then went on to compare the early sangam Tolkappiam to Bharata’s Natya shastra, providing striking similarities to help prove his point. While Natya shastra is in Sanskrit and Tolkapiam (upon which the Silappadikaram is based) is in Tamil, both are very much alike. For instance, both works mention the 8 Rasas and Bhavas, 4 Abhinayas, 4 Vrittis, 2 dharmis, 7 svaras etc. Singara was called inbam, hasya was nahai, karuna was azhukai, raudra was vehuli, veeram was perumitam, bhayanaka was bhayam/accam, bibatsa was izivaral, and adbhutam was viyappu. Both mention many instruments like the flute, veena and the mridangam. Dr. Nagaswami then proceeded to discuss the main topic of the lecture - Vilakku music. Aided by Dr. Abhiramasundari who demonstrated different compositions, Nagaswami discussed the various parts of Vilakku Pattu. The word Pattu is a composition that is meant to be sung and danced. Vilakku pattus have fourteen parts. Each of these parts are further divided into sub-parts. For example, one the fourteen parts is the Vritti or the theme. There are four kinds of Vrittis - Bharati, Arabhati, Sattvati and Kaisiki. Bharati generally has to do with dance while Arabhati has more to do with war-related subjects. Sattvati, as the name suggests, deals with topics related to Dharma. Kaisiki themes, on the other hand, are Sringara rasa-based themes. Dr. Abhiramasundari then demonstrated a few Vilakku songs that Dr. Nagaswamy had mentioned in his lecture. Dr. Nagaswamy has an uncanny knack and a remarkable style of communicating the most complicated concepts in a simple, succinct manner. One could clearly and easily see the components of Bharata’s Natya shastra systematically laid out in the Tolkapiam. It was a rare event--a tribute to the memory of a rasika. I was very happy to participate in this celebration of the late Sri Venkateswaran of ITC, a die-hard enthusiast of Carnatic and Hindustani music. He attended a concert virtually every day of his life for decades, taking buses and share autos to and from the venue. He was frank and outspoken but also knew how to appreciate good music. Sriram Parasuram, Serthalai Anantakrishnan, KV Gopalakrishnan and Gurumurti Vaidya gave us a real musical treat. Great participation from a lovely audience, too. I was one of the speakers, followed by S Sivakumar, freelance journalist, and close friends of Venkateswaran, Kannan and Kulkarni. I did try to convince him that Sruti was not against youth or new ideas, but he was not entirely impressed. 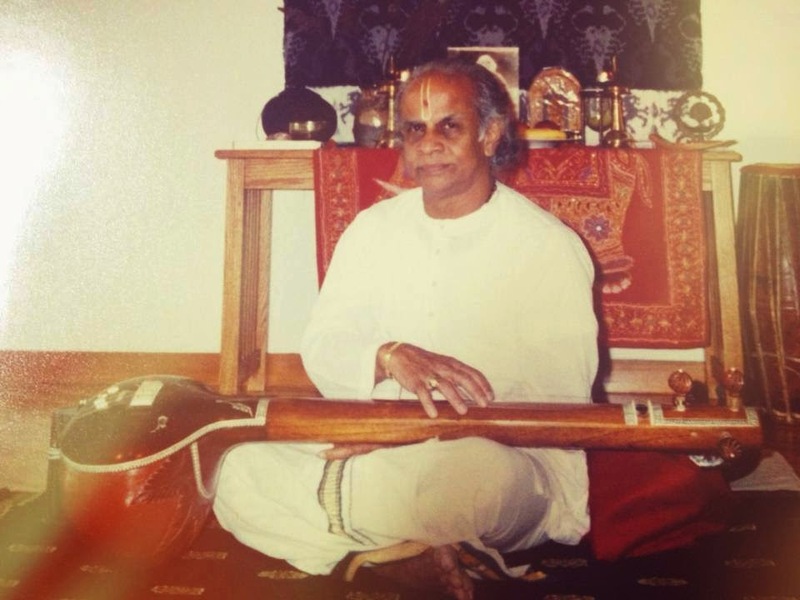 At his invitation, I went to a Charsur concert a couple of days later at the Narada Gana Sabha mini-hall. The young vocalist was someone my recent critic highly recommended. Unfortunately, I found the youngster to be a half-baked purveyor of new-fangled vocalism of a rather syrupy kind, and told the veteran rasika in so many words much later, having walked out of the concert after about half an hour. Venkateswaran, a retired chemical engineer and materials management expert who served ITC Ltd., for decades, usually led a three- or four-man group that frequented sabha halls until his death a few days ago, a massive heart attack felling him without any warning. He was a regular at Chennai concerts for many years, and had a mind of his own. Generous in his praise of music he enjoyed, he never hesitated to condemn anything he considered slipshod or unprofessional. He invariably came on time and stayed till the end of the concert. You did not agree with all he said, or even all he was party to – as, for instance, the whispered discussion of the identity of songs accompanied by hurried references to his notes by other members of the gang and curious fellow listeners – but you could not help admiring his total devotion to music. Through the years, Venkateswaran rarely missed a concert, and unlike the average rasika, did not confine himself to free kutcheris, often having to embark on a major expedition from his home via share auto, bus and long walks to listen to music. A junior member of his group was a final year student of Anna University whom he took under his wing a few years ago, and steadily tutored in the appreciation of both Carnatic and Hindustani music, apart from exposing him to a wide range of reading. A nattily dressed, middle aged man was another regular concertgoer with whom Venkateswaran made preconcert plans to meet at this sabha or that. The group often stayed on afterwards to discuss the finer points of the performance, sometimes walking up to the vidwans of the evening to offer a word of appreciation. Venkateswaran was also a constant presence at lecture demonstrations where his queries tended to be thoughtful and based on depth of understanding. 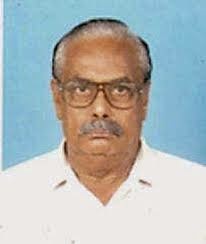 The news of Venkateswaran’s death came to me through an sms from a common friend – another staunch rasika. At a concert a couple of weeks earlier, he had crossed over to my seat from his to say, “Madhuvanti” in a stage whisper – after the raga in play had been announced as Seshadri, said to have been created by the artist on the stage. Like him, Venkateswaran too had become quite an expert through kelvi gnanam. At the end of a month of sad bereavements in the music and dance world, I chose to mourn here the passing of a rasika who liked to encourage young musicians and nurtured a love of music among his young friends – because in doing so such men nourish our arts in their own quiet way. International Dance Day was celebrated in a unique way in Kazakhstan with the participation of three generations of Bharatanatyam dancers. The concerts took place on 6th and 9th April at the Kazakh concert hall in Almaty and the Tilep Kobyz Palace Concert all in Astana, the capital of Kazakhstan respectively. Both the performances were supported by the Embassy of the Republic of India in Kazakhstan and UNESCO Almaty Cluster Office. The project Guru-Sishya was launched by Akmaral Kainazarova, founder and choreographer of the Centre of the Indian classical Dance in Almaty. It was a feast to watch P.T. Narendran performing with his disciple Akmaral and also with twenty of her students. The audience marvelled at the harmonious presentation of guru and sishyas of three generations. As a critic I was curious to find the difference between local dancers and the dancer from India, but to my surprise the Kazakh performers of Bharatanatyam did full justice to the performance. It was evident that they had imbibed the stylise and beauty of Bharatanatyam from their guru. The programme included classical dances like Bharatanatyam and Kathak, folk dances of India, and fusion of Kazakh and Indian dance. The performances underlined the aim of International Dance Day to uplift and celebrate the ability of this art form to cut across cultural and geographical borders, to bring people together through the language of dance. Akmaral Kainazarova, director and choreographer of the Centre of Indian Classical Dance, Almaty, was the first to take Bharatanatyam to Kazakhstan. In 2006, she established the Centre for the study of Bharatanatyam, Kathak, Carnatic music for beginners, traditional Indian Yoga, Hindi language, and Bollywood dance. The ages of the students range from 6 to 60. The work of the Centre is supported by the Embassy of India in Astana and ICCR in New Delhi. In 1998 Akmaral completed her Diploma in Bharatanatyam and Nattuvangam at Kalakshetra. She holds an M.A degree in Bharatanatyam from Madras University and Post-Graduate Diploma for Yoga Therapy from Sanskrit Department, Madras University, Chennai. She has won many awards such as “Madeniet Kairatkeri” (Representative of Culture) for popularising Indian classical dance in Kazakhstan, and “Champion of the World 2003” for Bharatanatyam performance in the 7th World Championship of Performing Arts in Hollywood, U.S.A. Akmaral is also an empanelled artist of ICCR in New Delhi. 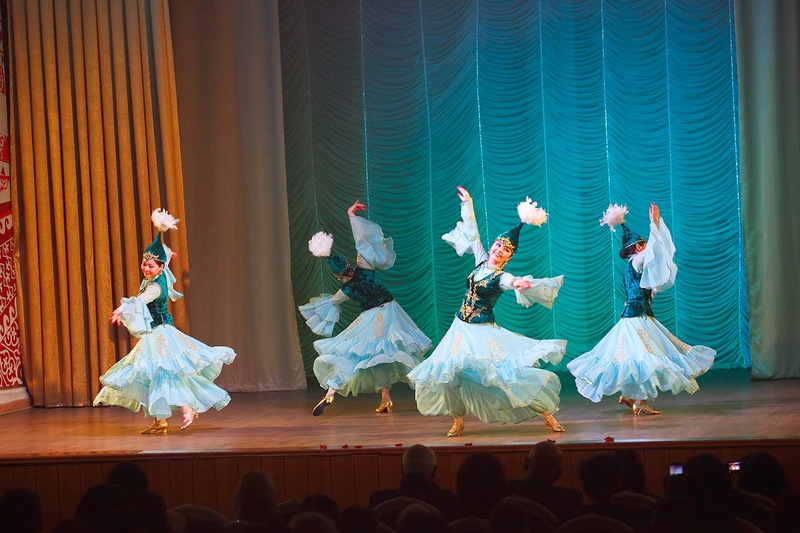 The programmes at Almaty and Astana were attended by diplomats, professors of the Academy of Arts, Eurasian National University named after Gumilyev and other universities, intellectuals, dance choreographers and art lovers. The theatre in both cities was full and the dancers got a standing ovation. The Indian Ambassador in Kazakhstan, Ashok Kumar Sharma, congratulated the participants and thanked P.T. Narendran for presenting the classical art of India in Kazakhstan. I first met Savithri Auntie in 1995 when I came to study at Kalakshetra. I had just moved to Chennai from Singapore and wanted to continue my music lessons. I remember being greeted by a stern, pony tail sporting mami who opened the door. She looked at her watch and said, “You are two minutes late!” Quite sure that I was already disqualified from being her student, I mumbled about my interest in music and dance and decision to join Kalakshetra. The next thing I knew, she gave me a big hug and said, “Of course, I will teach you. Kitta has sent you here” Not remembering any such recommendation, I said, “Auntie, I don’t know who Kitta is. I think you’ve got the wrong person.” With a twinkle in her eye, she said, “Follow me”. I entered one of the rooms and stared at a brightly decorated altar with a beautiful Radha and Krishna statuette. “There he is,” she said. It was an Alice in Wonderland moment for me. For the next three years, Savithri Auntie and Kitta dominated my life. I moved into her Rams Apartments building and after Kalakshetra hours, spent my time with her singing, sitting in her other classes or attending concerts with her. It was the most intense and fruitful years of my student life. She was relentless in her demand for perfection to a point each class was like an exam for me. I had never met a person like her. Of course, I had fallen under the spell of her teaching, but her personality intrigued me. She looked so orthodox but had such liberated views on the world. She had a child like quality about her outside class hours, in sharp contrast with her terrifying personality in class. I remember my years there with so much nostalgia because she taught me to love music and was solely responsible for the good taste I developed in Carnatic music. It was during those three years that I learnt how music could bind people irrespective of age and background. I bonded with students from the age of ten to sixty and the only common thing between us was Auntie’s music. I remember her spotlessly clean house, huge files of compositions ranging from Tyagaraja’s to Papanasam Sivan’s, meticulously notated and preserved with care. I continued my association with her till she passed away. To say she lived with music, for music and through music, is an understatement. Every once in a while there comes a person whose life and accomplishments touch you very deeply. Savithri Satyamurthy’s life and musical journey touched the hearts of many accomplished musicians, students, music connoisseurs as well as rasikas across eras and cities. Born to Meenakshi and Ramanathan, Savithri started learning music in the town of Hosur with violin lessons from Madurai Subramania Iyer. A move to Trichy opened up a whole new world of music for her. She earned her stripes under the strict tutelage of Erode Viswanatha Iyer. 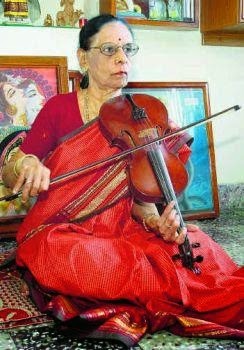 Her growing years involved spending three years as an inmate of the Ariyakudi household, when she also honed her violin technique under guru Rajamanickam Pillai. Imagine the wealth of musical experience she would have gained in those early years with these stalwarts as her guiding light, Rajam Iyer, K.V.Narayanaswami, Madurai Krishnan as co-disciples and as a regular accompanist to Dhanammal. Right from her childhood, Savithri was a meticulous stickler for discipline and punctuality. She learnt these lessons from her primary school teacher in Trichy and lived by it all through her life. Marriage and a move to Bombay changed the direction of her music career, and the birth of “Teacher Savithri”. Her musical knowledge and urge to keep learning combined with her inherent qualities made her set exacting standards and expect nothing short of perfection from her students. 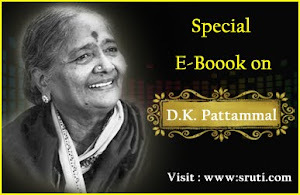 Her music education continued in Bombay through the visits of stalwarts like Kumbakonam Rajamanikkam Pillai, Madurai Mani Iyer and Ramnad Krishnan, who stayed at her residence in Mumbai. Madurai Mani Iyer was especially fond of Savithri’s special idlis for breakfast. After seeing her children well settled in life, Savithri came to Chennai in 1972 and the move resurrected the concert artist in Savithri. The musicians she began to accompany in concerts represented the who’s who of the Carnatic music world. M.S.Subbalakshmi, D.K.Pattamal, T.Muktha, Mani Krishnaswami and R.Vedavalli were examples. The shift also saw her blossoming as a teacher under the guidance of Dr. S. Ramanathan to whom she had also become a regular concert accompanist. Her students would tremble at the thought of facing her even if they were a minute late to her classes or unprepared from the previous lesson. The quality of her teaching was the same regardless of where when and how she taught. Her students from across generations having learnt from her several decades apart could come together and sing the compositions learnt from her in perfect unison. It was this rigour that produced from among her students a number of concert artists as well as music lovers and connoisseurs. A strict disciplinarian as a teacher, she was a deeply loving person and friend to her students outside of her classes. Complete devotion to music and her gurus as well as implicit faith in Lord Krishna were facets of her life that really stood out. Her meticulous maintenance of her music notations drew admiration from not only her students but many stalwarts as well. A number of Dr. Ramanathan’s compositions are alive today, thanks to her painstaking notation. She will be fondly remembered by all her students as well as the music fraternity.